I am sitting on the 07.00 train from Kings Cross to Newcastle as I write this. Last night I spent the evening with a group of musicians, from the worlds of both classical and rock, and fans who had travelled from around the globe to celebrate the music of Jon Lord. 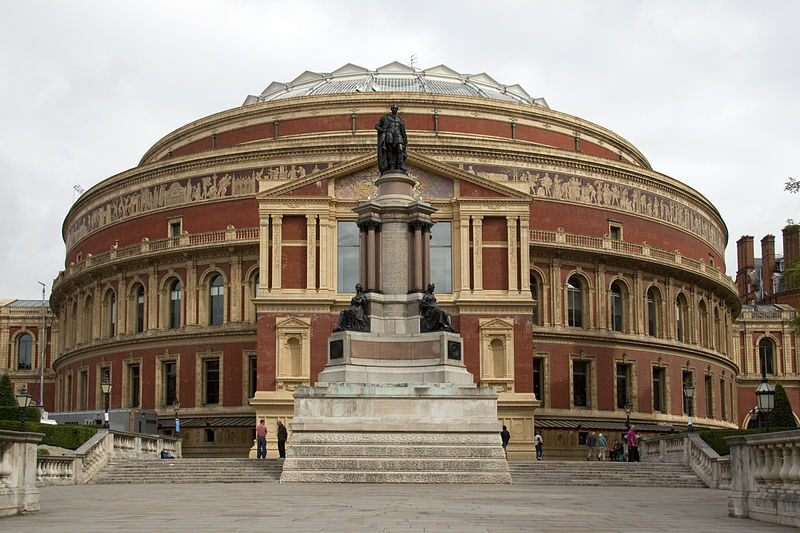 The event was held in the majestic Royal Albert Hall, a venue in which Lord performed many times, and where he premiered his concerto for group and orchestra with Deep Purple some 45 years ago. As we arrived in the hall, we were greeted by two large video screens on either side of the stage, showing images of Jon. I had a seat on the arena floor, a few rows from the front, to the left of stage centre. A great view. 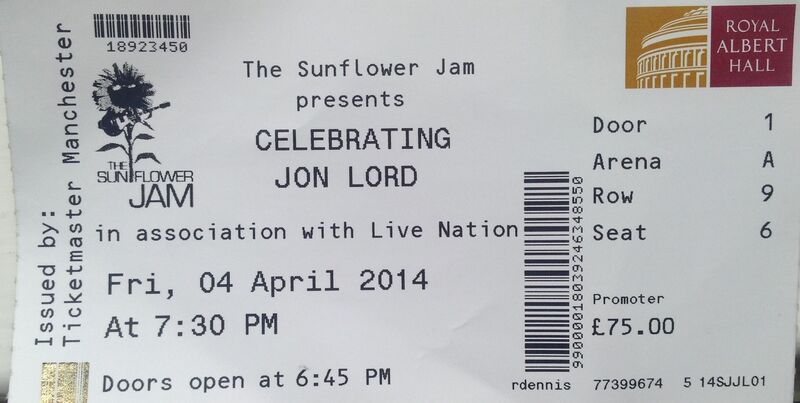 The evening had been organised by The Sunflower Jam on behalf of the Jon Lord Fellowship for cancer research. The Sunflower Jam is a charity led by Jacky Paice (wife of Ian Paice and twin sister of Jon Lord’s wife Vicky Lord), which organises annual events at the Albert Hall. The event started promptly at the advertised time of 19.30 with our host Bob Harris welcoming us and introducing the concert. This was an evening of music, celebration and emotion, which started with Ian Paice accompanying his sister-in-law Vicky Lord on stage, for Vicky to say a few words about Jon. The first half of the concert was devoted to Lord’s solo and orchestral compositions and featured the Orion Orchestra conducted by Paul Mann, and our house band of the evening of Murray Gould, Neil Murray, Jerry Brown, Paul Wichens and Nigel Hopkins. The first piece was “Durham Awakes” from the “Durham Concerto” featuring Kathryn Tickell on Northumbrian pipes. This was followed by Steve Balsamo on vocals and Anna Phoebe on violin accompanied by Mickey Moody on guitar, performing “All Those Years”. Then Miller Anderson gave a moving reading of “Pictured Within”. This was followed by Rick Wakeman leading the band in music from “Sarabande” and Margo Buchanan singing “One From The Meadow”. Finally, the first half of the concert closed with Jeremy Irons elegant reading of Thomas Hardy’s “Afterwards”, accompanied by Paul Mann on piano. There was a lot of material that I wasn’t familiar with in the first half of the show; it was good to experience something new and different, performed perfectly and beautifully by a group of musicians who were all there to celebrate the diversity of Jon Lord’s compositions. Bob Harris returned and told us that after the interval “we are going to rock” 🙂 It was 20.45. The second part of the evening started at 21.10 with Joe Brown, ever the cheeky cockney, who entertained us with a few quips and then introduced Paul Weller. Mod Weller took us back to the ’60s performing two tracks from Jon’s first band The Artwoods. These were fine slabs of Motownish white soul R’n’B: “Things Get Better” and “I Take What I Want”. Great stuff. Next we were treated to a couple of Paice, Ashton and Lord songs “Silas & Jerome” and “I’m Gonna Stop Drinking” led by the amazing vocalist Phil Campbell, and great blues guitar of Bernie Marsden. Phil is a relatively new vocalist from Scotland and is straight out of the mould of Rod Stewart/Joe Cocker/Chris Robinson. Just perfect wild raucous singing and the right amount of rock’n’roll swagger. Check him out. The high point of the evening (so far). Steve Balsamo and Sandi Thom then performed a beautiful version of the haunting classic “Soldier of Fortune”. Nothing could have prepared any of us for what came next, which was an amazing performance by Bruce Dickinson and particularly Glen Hughes. They started with “You Keep On Moving”, which was great enough, but then they took the roof of the place with an incendiary version of “Burn”. Everyone on their feet, the two of them sparring vocally, both out-singing each other with their tremendous outstanding vocal ranges. Sorry for all the superlatives, but it was that good. A hall full of old guys punching the air and rocking. Hughes was incredible. It took me back to the time I saw Purple Mk III on the Burn tour. I was struck that night (can it really be 40 years ago?) by Hughes’ over the top performance and his soulful soaring vocals. Last night he was strutting and stalking around the stage, bass aloft, wrestling ever ounce of soul and emotion out of his voice. I have never seen a performance like it; at times he was on his knees, tears running down his cheeks. Yes it was over the top, but you just knew that the guy went out last night determined to deliver the performance of his life, and that he felt and meant every word of it. Electric, and a privilege to experience. Glen Hughes closed this segment of the show with “This Time Around”, which he explained was the only song he wrote with Jon Lord. Finally it was left to Deep Purple to close the evening, which they did with great style performing a short set of “Uncommon Man”, “Above And Beyond”, “Lazy” (with Bentley Kline on violin sparring with Don Airey on keyboards), the beautiful blues of “When A Blind Man Cries”, the cooking rhythms of “Perfect Strangers” and closing with (what else) a rocking “Black Night” with all of us singing along. Then everyone joined Purple on stage for an encore of “Hush”. Lots of “Nah Nah Nah Nah”s from the stage and the floor. It just doesn’t get much better. For over three and a half hours we were well reminded just how great a musician, composer and man Lord was. 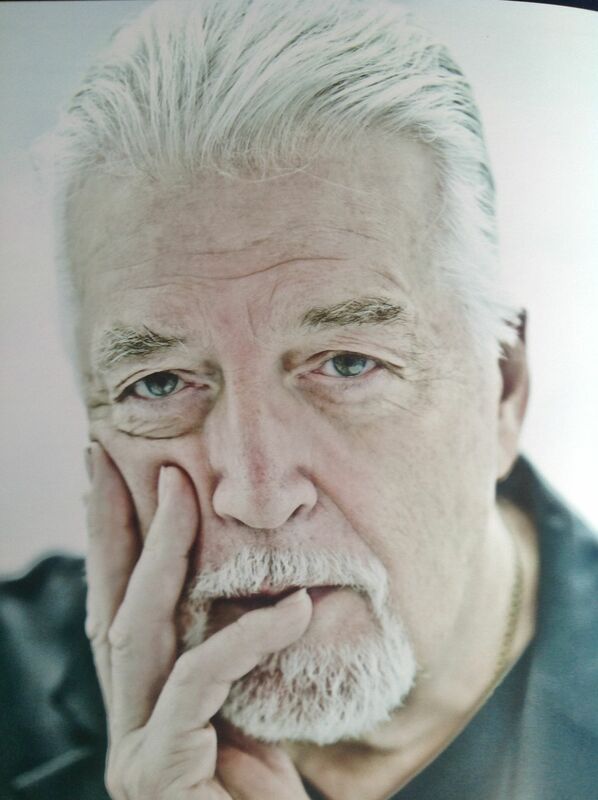 RIP Jon Lord. 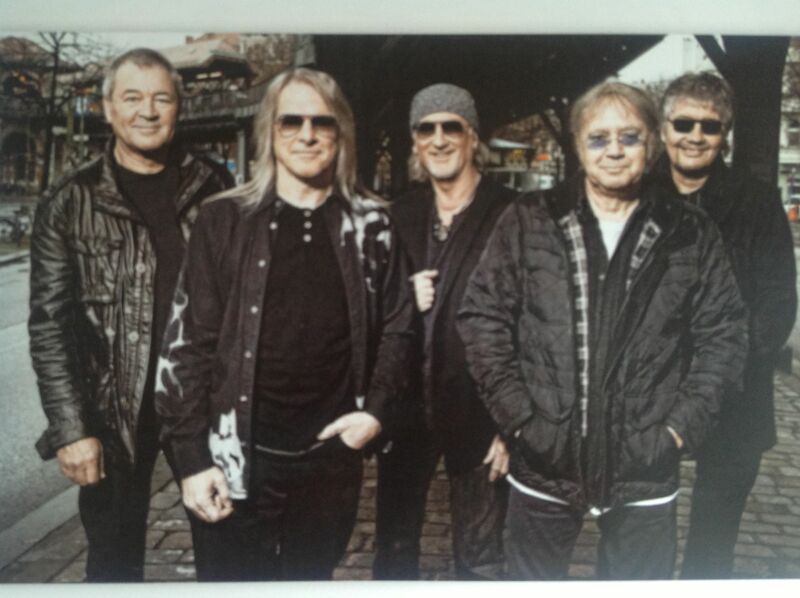 Deep Purple: Ian Gillan (vocals), Steve Morse (guitar), Ian Paice (drums), Roger Glover (bass), Don Airey (keyboards). The Orion Orchestra conducted by Paul Mann. House band: Murray Gould – guitar, Jerry Brown – drums, Neil Murray – bass, Paul Wichens – keyboards, Nigel Hopkins – piano. It was truly an amazing night. However, I have to say that I came away feeling a few things were missing. First, Blackmore and Coverdale. Now we all knew Blackmore was never going to attend, but some of us lived in a vain hope that past issues might have been forgotten, and that he may have made an appearance. On the other hand, it is of course up to him how he wishes to remember Lord, and his new song in Jon’s memory sees a return to his old style. I understand Coverdale couldn’t make it; again a big miss. I also expected to hear some of the “Concerto”, particularly given the occasion and the venue. A strange omission. And finally I had hoped for “Child in Time”. I know Purple don’t play it any more, but a version by the house band with a guest vocalist might have been possible. Sorry to niggle about what was an incredible event. 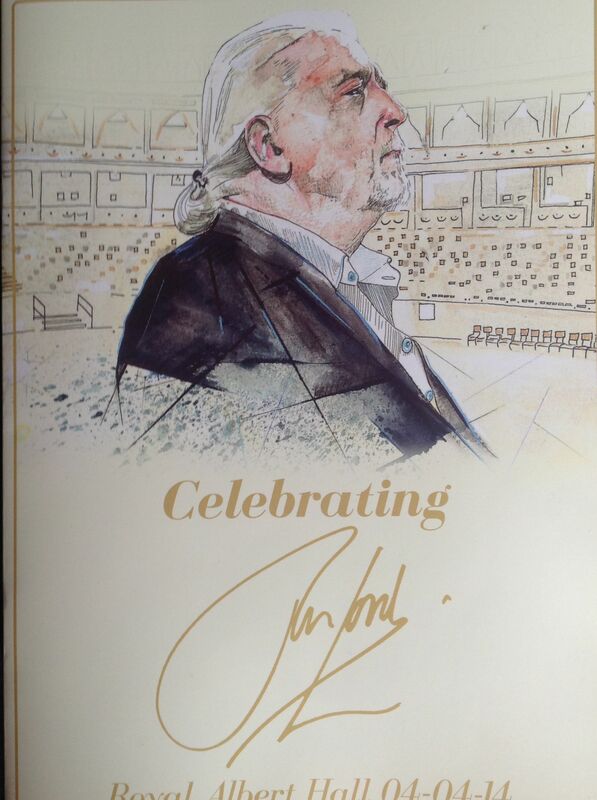 The images are all photographed from the concert programme. A group of us went to this gig, attracted as much by the strong support acts on offer, as by the prospect of seeing Deep Purple. My friends are all big Styx fans, and couldn’t miss the opportunity of seeing them. The gig started early at around 7pm, to allow each vabd to perform a reasonable length set. First up was Thin Lizzy, this line-up fronted by John Sykes and Scott Gorham. They delivered a set of Lizzy classics, proving that there is life for the band without front man Phil Lynott. In fact, I was surprised just how good they were, and it was great to hear classics such as The Boys Are Back In Town, and Jailbreak again. Styx were next up, also missing front man Dennis DeYoung. Styx gave headliners Purple a run for their money, and delivered a set of classics which went down well with the assembled crowd. Although Purple’s latest album was Rapture of the Deep, this show also featured the band playing their classic album Machine Head in full. A good evening in the company of friends, and three classic rock bands. Setlist: Fireball; Things I Never Said; Into the Fire; Strange Kind of Woman; Rapture of the Deep; The Well-Dressed Guitar; Highway Star; Maybe I’m a Leo; Pictures of Home; Never Before; When a Blind Man Cries; Smoke on the Water; Lazy; Space Truckin’. Encore: Hush; Black Night. It was almost 20 years until I saw Deep Purple again. I went along with my mate Will to this gig, which was at Newcastle Arena. The show used part of the Arena, with the rest sectioned off. This allows the band to perform to a larger audience than can be accommodated in a concert hall, such as Newcastle City Hall, but loses much in terms of atmosphere. Support came from rock band Thunder and Peter Frampton. I hadn’t seen Frampton since the Frampton Comes Alive tour, and I’d forgotten just how good he is. He has some great songs and is a pretty neat guitarist to boot. He played, of course, Show Me The Way, and a few other classics from his 70s heyday. 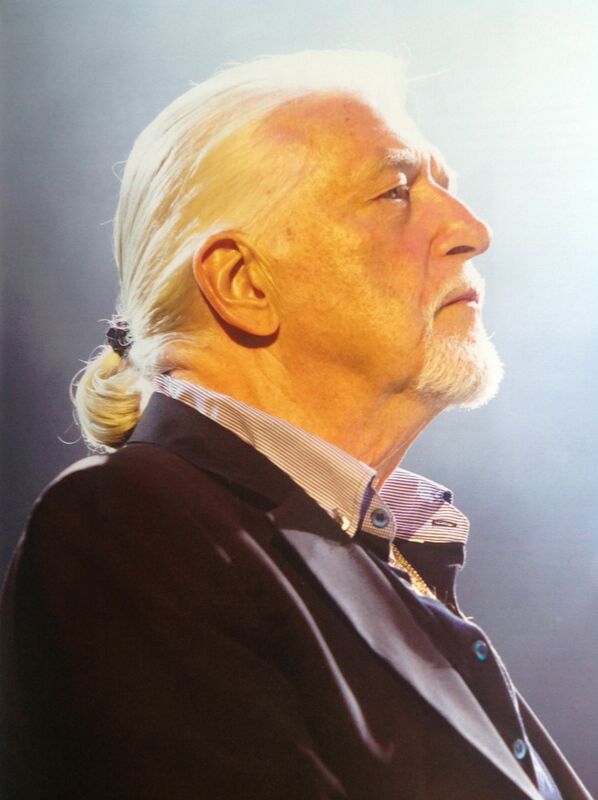 By 2004 Blackmore had left Purple again, and Jon Lord had just retired. Steve Morse was well established on guitar, and local hero Don Airey had recently joined on keyboards. Long-timers Gillan, Glover and Paice were there from the old days. The band had recently released the Bananas album. The set was a mix of old favourites, and quite a few recent tracks which were unfamiliar to me. I’d almost forgotten just how great Purple are, and was well impressed. It was great to see them play old favourites like Speed King, and particularly Hush. Steve Morse is an impressive guitarist and fits in well, and his solo on Contact Lost was a stan-out. Setlist: Silver Tongue; Woman from Tokyo; I Got Your Number; Strange Kind of Woman; Bananas; Demon’s Eye; Knocking at Your Back Door; Contact Lost; The Well-Dressed Guitar; Perfect Strangers; Space Truckin’; Highway Star; Smoke on the Water. Encore: Speed King; Hush. Twelve years after I last saw them, the classic Deep Purple line-up was back and playing at Knewborth. I went with my mate Dave on a trip bus from the town. The line-up for the day was very strong with The Scorpions, Meat Loaf, UFO, Mountain, Blackfoot, Mama’s Boys, and Alaska (can’t remember who they were) but unfortunately the weather was lousy. It rained and rained all day and then it rained more. Dave and I spent much of the day sheltering under a tree. At one point we found our way into an indoor bar which must have been for guests because it was empty (!) and we kept warm and dry in there. The Scorpions went down best of all the support acts, and there was a never ending two hour wait between the end of their set and Purple taking to the stage at around 10pm. I can’t remember much about the other bands, but Purple were good despite the rain. As expected they started with Highway Star and played all of the classics, along with quite a few songs from the new album Perfect Strangers. To cap it all our bus got stuck in the mud in the carpark and some of us had to push it out. We didn’t get out of the carpark until early morning and arrived back home at dawn. The things I’ve done for rock n roll…Setlist: Highway Star; Nobody’s Home; Strange Kind of Woman; A Gypsy’s Kiss; Perfect Strangers; Under the Gun; Lazy; Knocking at Your Back Door; Difficult to Cure; Space Truckin’. Encore: Speed King; Black Night; Smoke on the Water. Other memories are of some guys setting fire to the portaloos to keep warm, no screens and an awful view of the stage from the back, pretty cool lasers for Purple, and a massive firework display after Purple’s set. Happy Days. It was all of 11 years until I saw Deep Purple again. I didn’t see the Tommy Bolin line-up; they toured the UK but didn’t play the North East, although a show at Middlesbrough Town Hall (which would have been a home-coming show for David Coverdale) was rumoured but, to my knowledge, never happened. This was the last time that I saw the classic Deep Purple Mark II line-up in the 70s. By this point tensions in the band were growing and relations between Gillan and Blackmore were not good. Both Gillan and Glover were to leave the band before the year was out. This tour came just as the Who Do We Think We Are album was released. This is not their strongest album but it does feature the great hit single: Woman from Tokyo. Published setlists from the time show the set as being: Highway Star; Smoke on the Water; Strange Kind of Woman; Mary Long; Lazy; The Mule; Space Truckin’; and Black Night. My friend John recalls them also playing Woman from Tokyo; Smooth Dancer and Never Before from Machine Head. My main recollection from the gig was how different Gillan looked. He had grown a beard and was wearing a smart jacket and slacks; a very different image to that of previous tours. Reports of shows from that period suggest that you could sense the tensions within the band and the growing distance between the members, but I can’t say I noticed anything amiss. I was sitting upstairs with a group of friends, and enjoyed the gig, although not quite as much as previous tours. Nazareth were a great support act. A few months later the unthinkable had happened and Gillan and Glover had both departed. 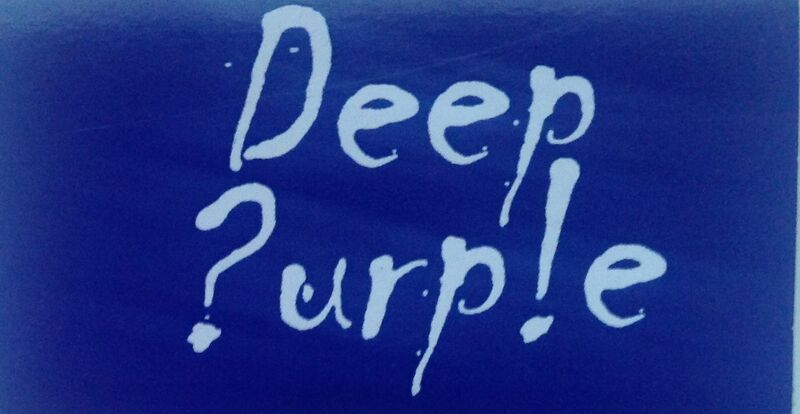 I thought that was the end of Deep Purple, which was far from what transpired, more of which tomorrow.